After staying on a downtrend since August 2016, GBP/AUD looks like it’s ready for a breather around the 1.6200 – 1.6500 psychological area. What makes the current consolidation interesting is that it’s confined in a possible symmetrical triangle on the daily time frame. Stochastic is currently on the oversold territory while price is flirting with the triangle support, so long trades could be the way to go until price reaches the triangle resistance. 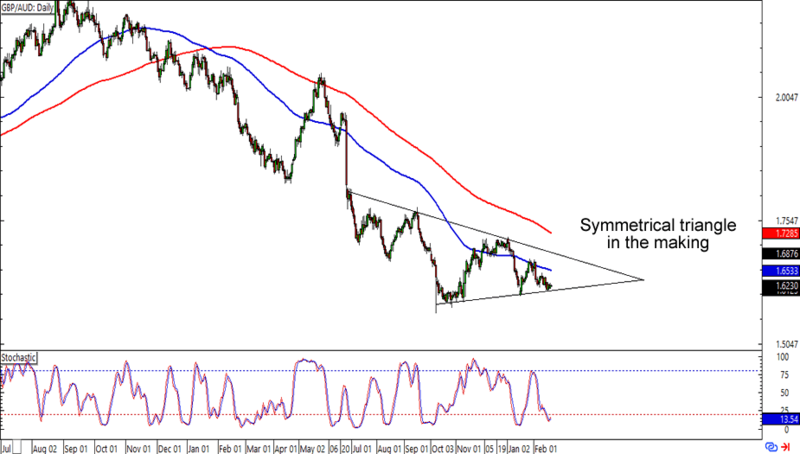 Don’t get married to the trade idea, though, as symmetrical triangles like these tend to break out in either direction. Just stay sharp, brotha! 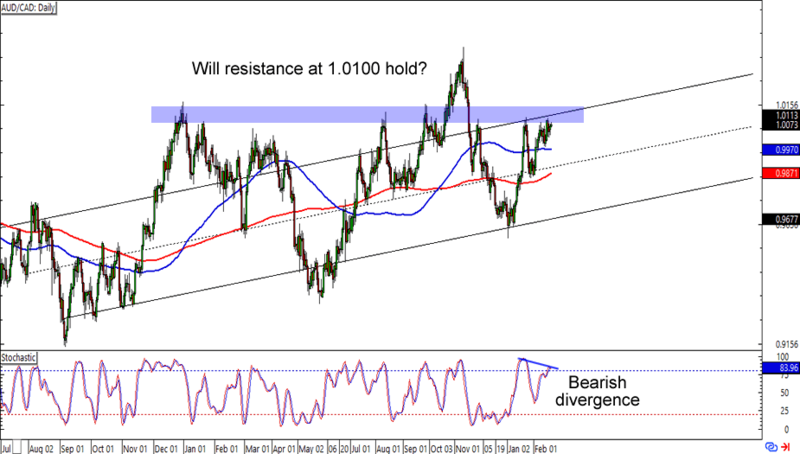 AUD/CAD is flirting with the 1.0100 major psychological level, which isn’t surprising since it’s also right smack at a rising channel resistance on the daily time frame. This time around, a bearish divergence has also popped up to entice the bears. Think the area of interest will hold as resistance? Shorting around current levels is a good idea if you’re one of them Aussie bears. Of course, you could also wait for a break above said area of interest and aim for at least the previous highs if you’re one of them forex bulls.